Hello Loverlies! Today's photo challenge is a fun one! It is Song Lyric, which is a very hard choice because there are tons of song lyrics out there that are beautiful and can be shared. 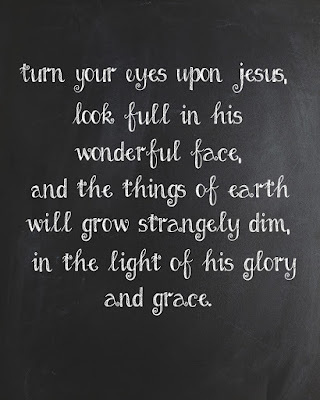 I decided to choose Turn Your Eyes Upon Jesus by Helen H. Lemmel. 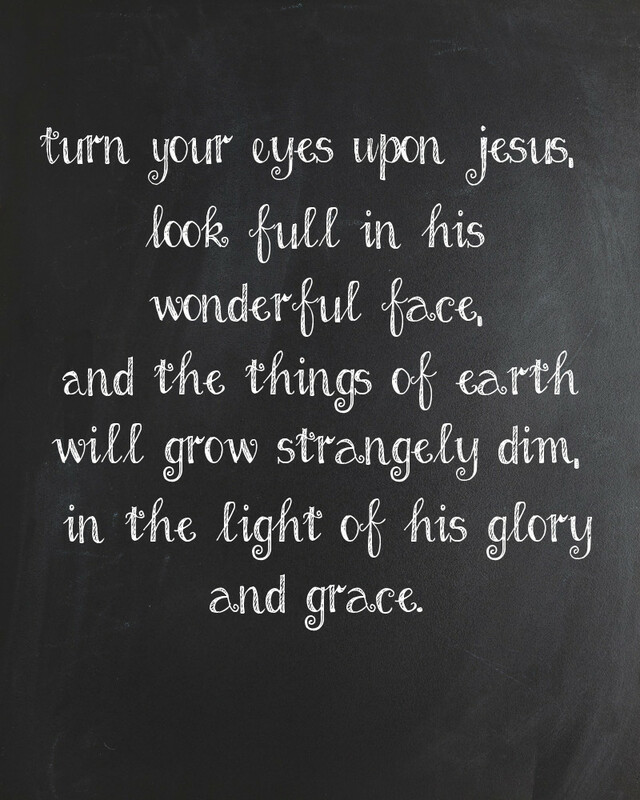 It is a Beautiful song, and a wonderful remembrance of where our eyes need to be focused at. Especially in times like these! Have a Blessed Day! I got this chalkboard texture and the chalk board font for free from ISHOULDBEMOPPINGTHEFLOOR.